He is known for strong positions regarding internal corruption and truthfulness regarding political and market economy reforms. His background is well rounded in his world approach and experience and capability. Xi Jinping served in Fujian province, was appointed party head of the neighboring Zhejiang province, and later was appointed as party chief in Shanghai. Since his father was former Vice-Premier Xi Zhongxun and gained a doctorate in Marxist theory from Tsinghua University, he has a powerful understanding and background in Chinese culture and economy. At the same time, his reputation reveals his strong support of robust economic reform. He has a durable world vision. It seems plausible that new Chinese leadership is on the horizon. It appears that new intellectuals may open up their political system. 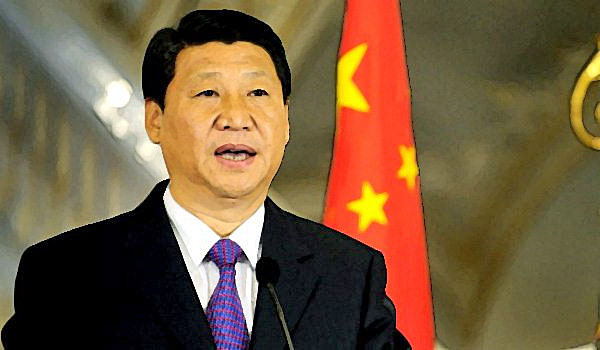 Xi Jinping appears like the heir apparent appointee for President in 2012. He is politically savvy and a pragmatic problem solver. . Xi was sent to Shaanxi for seven years where he learned to serve the people of China. There are indications that Xi may implement significant reform. His father, Xi Zhongxun, one of the founders of the Communist movement in Shaanxi Province, a comrade of Mao Zedong's, and former Vice Premier and Vice-Chairman of the National People’s Congress, was purged and sent to work in a factory during the Cultural Revolution. Xi Zhongxum was one of the architects of the Shenzen Economic Zone. Because Xi has been trained as both an engineer and lawyer, he has comprehensive knowledge that other candidates may lack. He is a graduate of Qinghua University in Marxist theory. His wife, Peng Liyuan, a major general, is one of China's most famous singers and a household name in China. In 2011, she was appointed as a goodwill ambassador for the World Health Organisation. Xi has family overseas. Their daughter studies at Harvard University in the Ivy League. Xi’s older sister, Xi An’an, may be residing in Canada and his younger brother, Xi Yuanping, lived in Hong Kong prior to the handover from British rule in 1997. Xi spent the early portion of his calling in the wealthy eastern provinces of Fujian and Zhejiang and served as party chief of Shanghai before being promoted to the nine-man Politburo Standing Committee in 2007. Xi was successful in organizing the Beijing Olympics. Xi may share power with Bo Xilai, another rising power who gained national prominence as party leader of the western city of Chongqing. For the past four decades, as the world influence of China has increased and political power has been disbursed, the authority of its top leader has naturally declined. Starting from Mao Zedong to Deng Xiaoping to Jiang Zemin to Hu Jintao, the power of the supreme leader has been reduced. In the end, there will be political evolution for China.